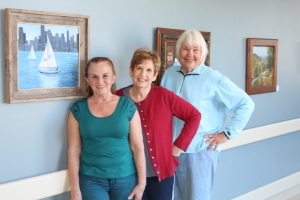 Two new colorful exhibits were hung at Ozark Health Medical Center in Clinton by members of the North Central Arkansas Artist League. These exhibits are free and open to the public; they will hang until March 23. “Thirty Shades of Blue” includes 30 original works of art in acrylic, oil, watercolor, colored pencil, and mixed media, featuring the color blue in each painting. This exhibit is located on the upper level in hallways near the cafeteria and nursing home, and can be viewed from 8 a.m. to 8 p.m. daily. “Red, the Color of Courage and Love” includes 20 original paintings in watercolor, oil, acrylic, and mixed media, featuring the color red. This heavily floral art display can be found in the hallways of the oncology wing on the lower left level of the hospital. It is open during regular business hours (on weekdays only). Paintings are reasonably priced for sale, with a portion of each sale benefiting local community health projects by the Hospital Auxiliary. Artists displaying works in the exhibit are Ann Snyder, Charlotte Rierson, Ellen Kelly, Joyce Hubbard, Yun Kim, Doris Sexson, Jan Cobb, Lea Berry, Judy Shumann, Joyce Hartmann, Mary Shelton, Diana Foote, Jeanne Homuth, Julie Caswell, and Kathleen Hadley. They are all local artists living in the Greers Ferry Lake area. 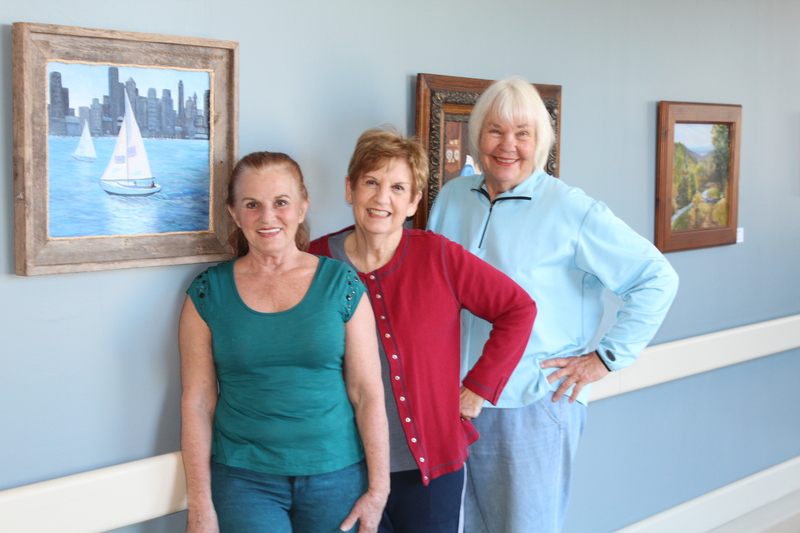 The NCA Artist League meets weekly on Monday mornings in Fairfield Bay to paint together, hold art workshops, and socialize. For questions about the exhibit or NCAAL, contact President Joyce Hartmann at 745-6615.